In anticipation of this year’s #PMJsearch contest, we’ve been looking back over the finalists from the past two rounds. 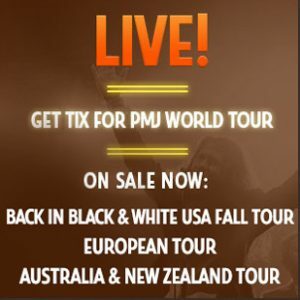 When we started the contest, we hoped to find a few talented singers – we never dreamed there was so much talent hiding all over the world, or that we’d find new PMJ stars not just in the winners but also in some of the runners-up who made our decisions so difficult! 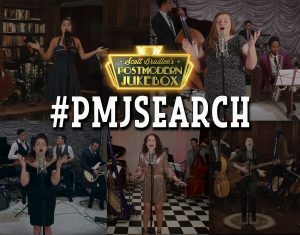 If you visit us regularly, you’re already familiar with the knockout talent of Devi-Ananda, Maris, Holly Campbell-Smith, Tara Louise, and Caroline Baran, all of whom were discovered through their #PMJsearch audition videos. Do you have the vocal chops and throwback flair to be the next name on that list? Compare your pipes with these winners, and then throw your fedora into the ring! The next name on this list could be yours, so check out how to enter the 2017 #PMJsearch here. Happy Singing, and Good Luck!